Our weekend was full of family, food and fun - how about yours? Just look at that tummy <3 Grammy came to visit and watch the kiddos. Can you also believe my 2 yr old son took this photo? I spent Saturday at an awesome blogging workshop put on by Philly Social Media Moms. It was awesome to meet so many amazing, smart and inspiring mom bloggers. And hey, look at the cool gift bag each of us received from The Walden School where we had the workshop. Nice! It's been a busy past month with little time for blogging, but I'd like to get back into posting at least once a week. Little Guy and Girl haven't been sleeping wonderfully...well, since Christmas really. So, my goal is to get them back on a good schedule so we can all sleep better and I can have a little free time at night - prime blogging time! The chicken chili was delicious, I had 2 helpings! 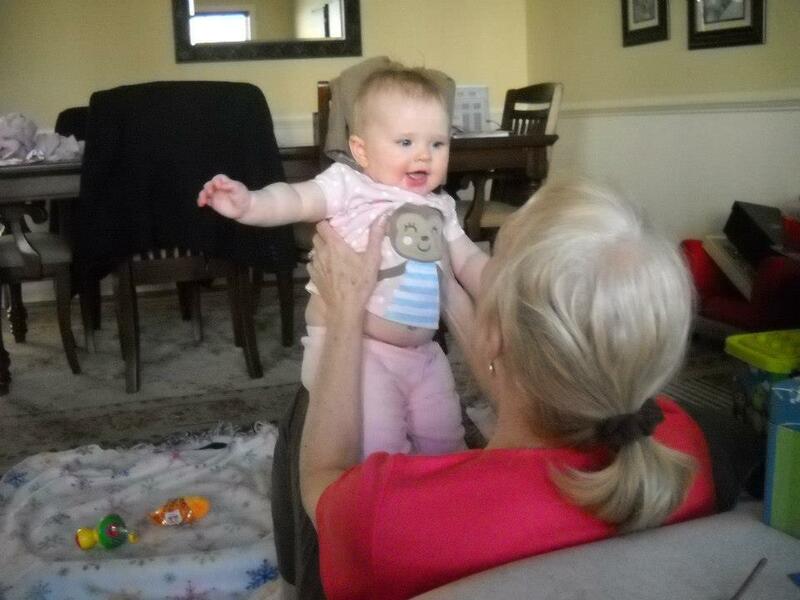 I had a wonderful time with my beautiful Grandchildren and can't wait to babysit again! We loved having you Diane! Good call on the avocado on the soup! I have some in my fridge and am making soup! This will work for me! I love the creamy goodness that avocado adds to soup or chili. Hope you enjoy it Caroline!